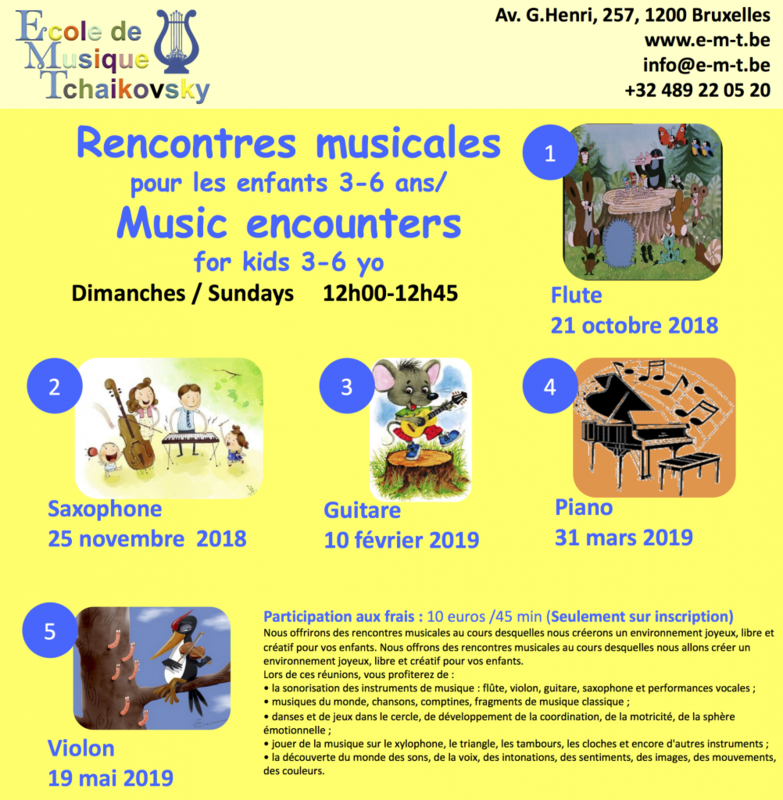 Musical Encounters for kids 3-6 y.o. Dear parents of kids 3 – 6 years old! We organize live music encounters in an open, joyful, friendly and creative environment that facilitate musical developments of your kids. This year we’ll organize the following musical encounters.